Welcome to our new house! 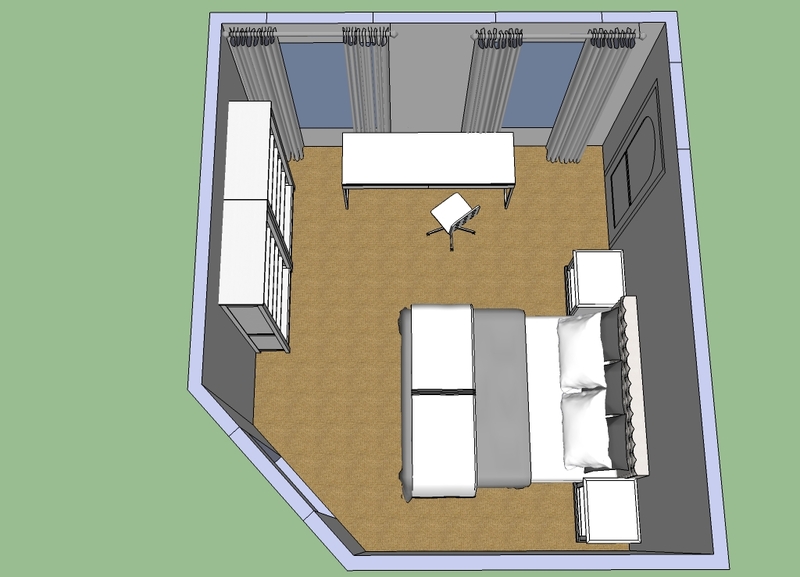 One of the great benefits of our new home is that we are getting an extra bedroom. This was on our must list when searching for a home because it allowed us to have more space for all of our out of town guests and it eventually it will become our waaay-in-the-future next child’s room. My dilemma is that I don’t have a designated office area to begin my new business. 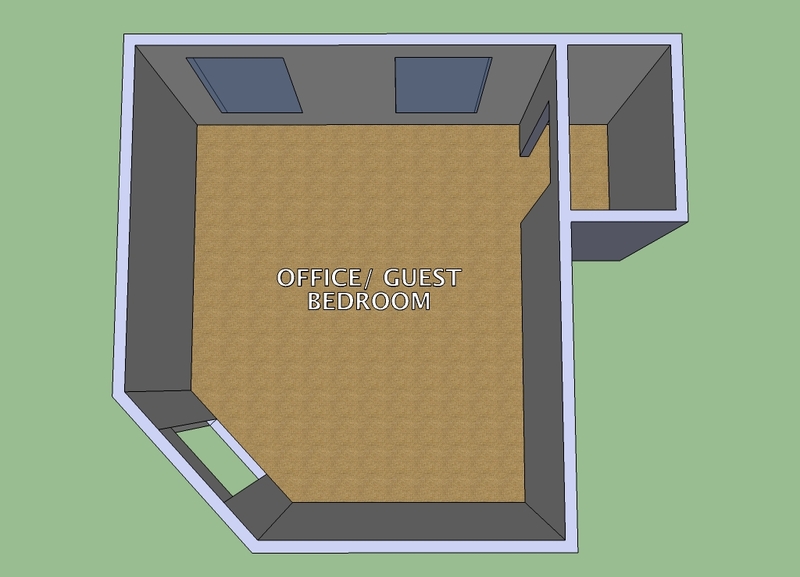 After playing around with the layout, I have decided that I am going to do an office and guest room combo for now. 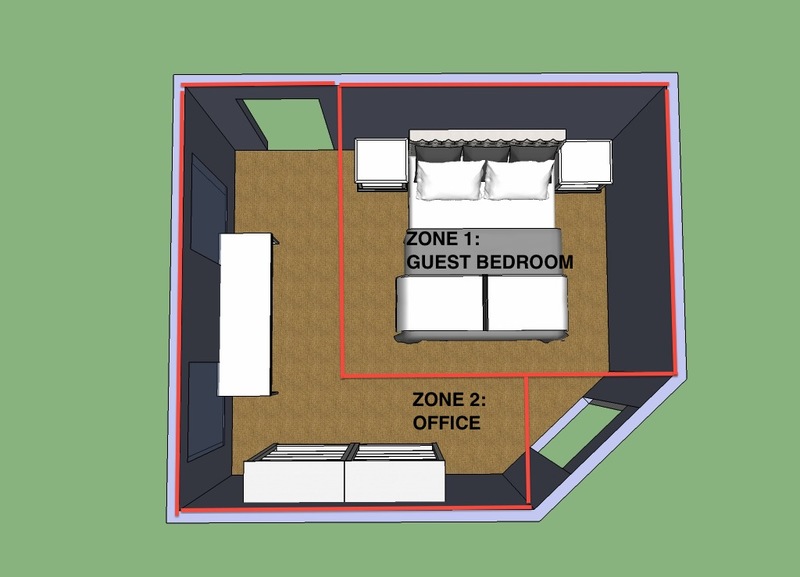 Create two defined zones so that the guest doesn’t feel like they are sleeping in an office and vice versa. The furniture and decor must match/coordinate for the whole room. This will help the room stay cohesive and not feel choppy. It also is a good idea to use home furniture in the office and not actual office furniture. Keep printers, fax machines, and other larger equipment in the closet. If it’s a guest bedroom, the closet will get used infrequently. 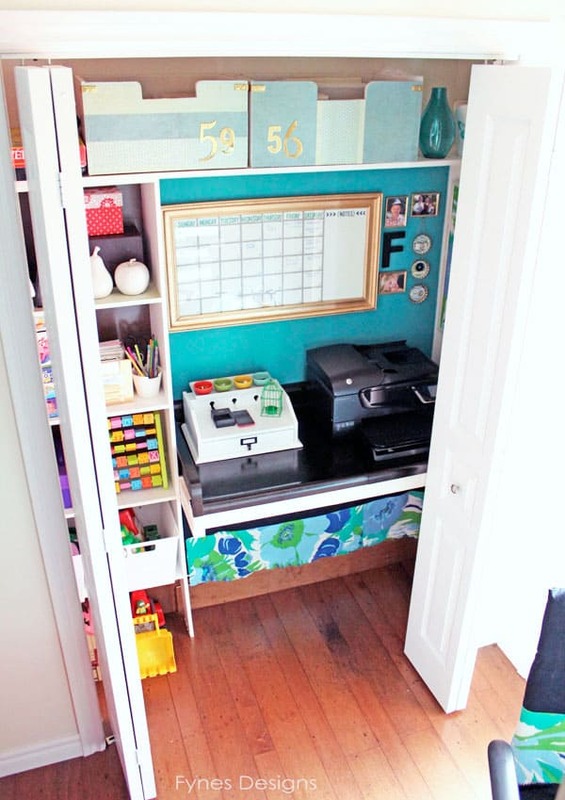 By moving the printer and other machines like it into the closet, the room will feel less like an office and help keep the visual clutter down. You can also add shelves and basket to house your “Messy stuff” to lessen the visual clutter as well. 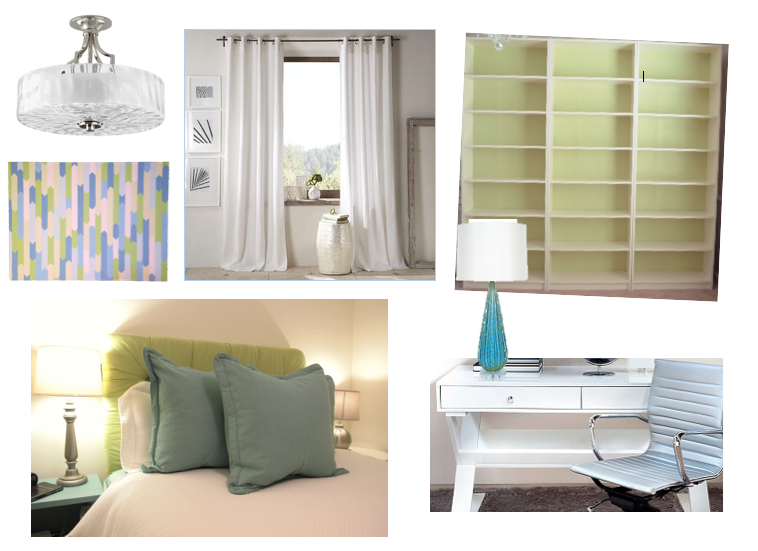 Following these few tips will make an office and guest bedroom combo a functional and enjoyable room for you and your guests! Stay tuned for pictures of this design turned to life in a couple of months! Remember: email me your design dilemma questions and I will answer them on the blog!